This is the 2nd year I have run Bath Half but conditions were more favorable last year and this year very Windy, regardless I like the course, at 6 miles it does another loop back round and you know what to expect. Sometimes hard when you are lapping as the crazy people decide to cut over your side and cut you up! Came home 7th Lady and a few positions up from last year and was aiming to also finish in the top 10. I was about 30 seconds off the PB and last years time. 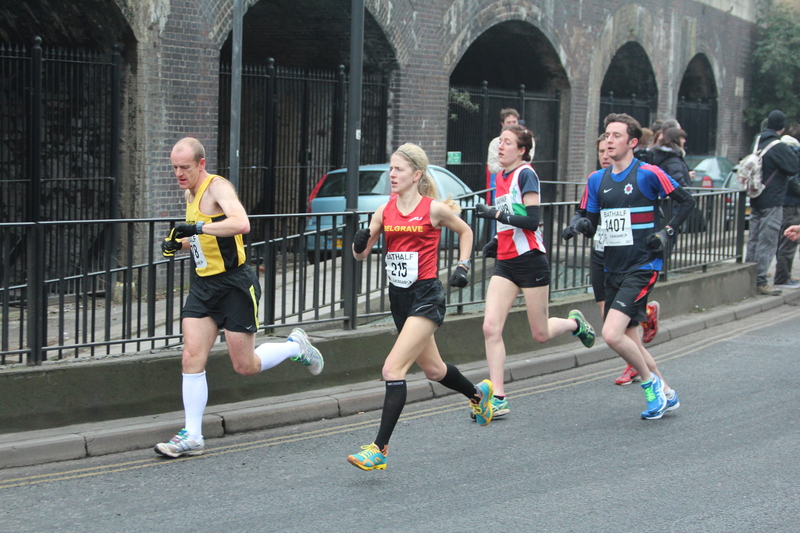 Great race and £100 prize money for coming 5th british lady, love to be as good as the lead runners one day!